During a recent brief trip to Manhattan, I stopped into Fishs Eddy. This store sells an unusual mix of new and vintage diner ware and kitchen items. 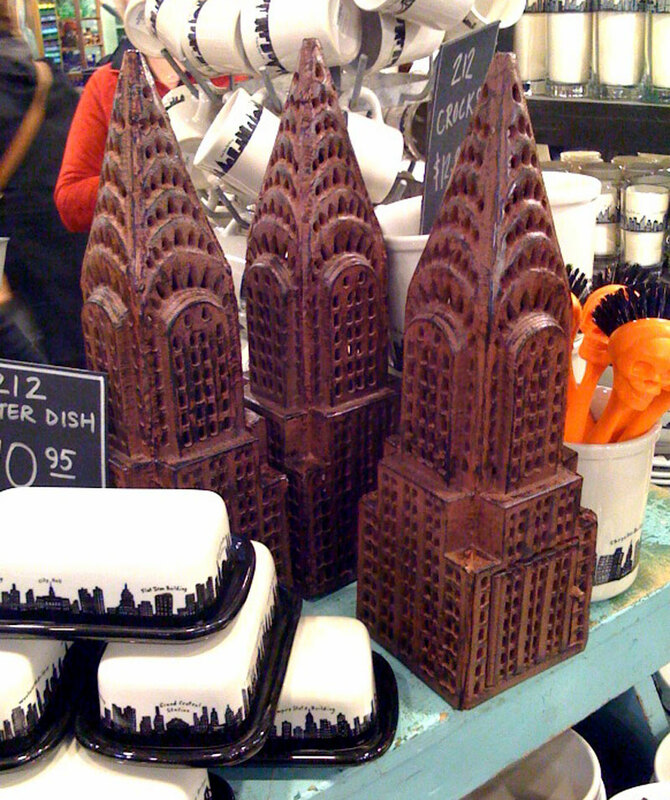 They also had some cast iron Chrysler Building lanterns. With dimensions of 4.75" x 4.75"x 15" they were a good size and priced at $64.95 You can also order online if you can’t get to NYC.